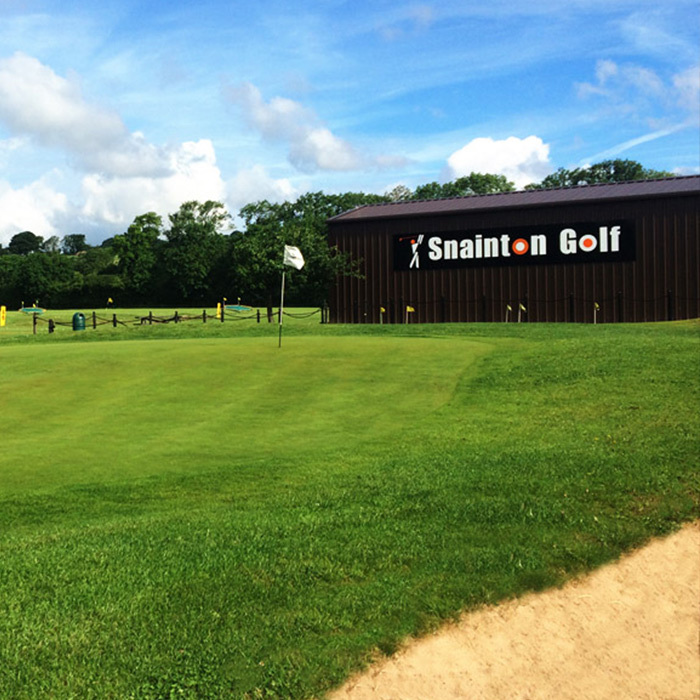 Here at Snainton Golf we have a thriving golf academy for adults, juniors & groups run by our award-winning resident teaching Professional Matthew Conner. We offer many different ways to improve and develop your game or even begin your journey into the world of golf. Learn how to perfect your game with our individual lessons tailored to your specific needs and requirements. Perfect for all abilities, from total beginners to advanced players. Our lessons start from 30 minute but can be as long as you need. With the help of state of the art technology your game can be analysed down to the finest detail. Here at Snainton we use FlightScope technology, Flightscope’s 3D motion tracking provides 27 measurements of ball and club head parameters allowing you to work on specific elements of your game in the pursuit of perfection. Group coaching sessions give the opportunity for groups of 6-8 adults to have fun, and an informal look at the various aspects of golf. Each session lasts one hour over a six week period, building confidence and the necessary skills. The final sixth session on the course lasts for two hours. All equipment and balls are supplied- Just turn up and enjoy! Snainton Golf Centre strives to be inclusive and make golf more accessible to all groups in society. Our PGA Professional Matthew has delivered coaching sessions for the English Blind Society. Through out the year Matthew works with the Scarborough Action for Blind People using games and drills specifically designed to help learn all the skills to play golf, which now involves playing full holes on the golf course. Snainton Golf Centre proudly holds the Clubmark Award. Matthew is a PGA Golf Professional and also a Community Sports Coach. He delivers golf in the local Infant, Primary and Secondary Schools, and Sixth Form Colleges. Matthew’s coaching is designed to raise participation in golf whilst delivering high quality activities. Snainton Golf Centre has become a Golf Roots Starter Centre. To complement its school-based initiatives, the Golf Foundation operates a range of initiatives under the banner of Golf Roots designed to stimulate and encourage opportunities for beginners at golf clubs and facilities. The Golf Foundation provides support to clubs and facilities keen to undertake out-reach work and then welcome new participants to their venue. The Junior Golf Passport is a scheme that teaches you everything you need to know about playing the game, but the good news is, it’s based on fun. Do you think you could master Ladders™ or could you remember to One step, two step every time you take a putt or Spot on Landings™ when chipping? How many points do you think you could score playing Sharp Shooter™ or Tunnel™. When you’re enrolled on the Junior Golf Passport you’ll be given your very own Junior Golf Passport. Matthew will use this to record your progress. The booklet also contains lots of useful advice and information. Keep it in your golf bag and you’ll be able to look at it whenever you’re practicing or playing. The Junior Golf Passport has been designed especially for you. It will provide you with a permanent record of your progress and if you stay with it take you up to playing 18 holes in 110 shots or better. This will set you on the road to a lifetime of fun playing the best game in the world. Available all year round, these sessions are one on one.